Check out Despicable.Me! For many reasons. It promises to be another great animation movie. Yet, from the domaining point of view - it is revolutionary too. Their web site is flashy indeed. Then, they did not go for DespicableMeMovie.com. Just reserved it. Yes, they did buy DespicableMe.com too, smart guys, are they not? Though the latter forward you to, guess where? Yes, Despicable.Me! Now, the question is, how much buzz will they create before and after 9 July 2010? For more information about the movie check: IMDB, GGL, or YouTube. Will for sure make other big firms want to buy dot.me domains. Me domains will raise allot in value. 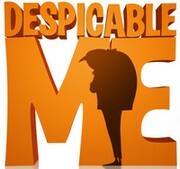 Indeed, in 2008, Illumination Entertainment together with Universal Animation Studios reserved this domain for their upcoming “Despicable Me” animation movie. The site was launched in summer 2009.